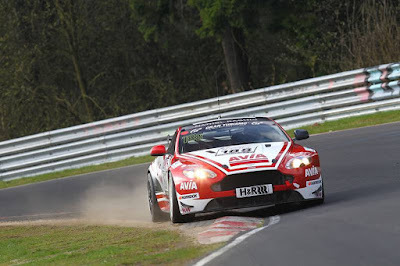 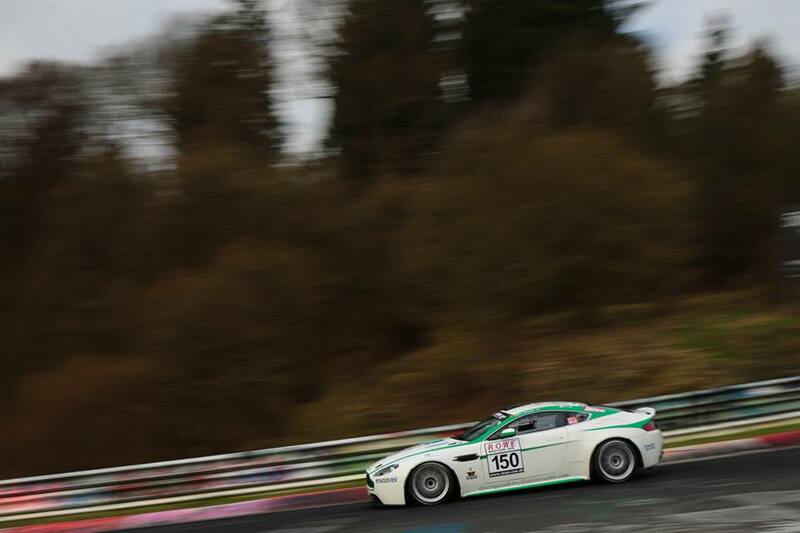 With all Aston teams hoping to emulate their success of VLN1 a couple of weeks ago, Saturday's VLN2 race proved to be something a disappointment all round. 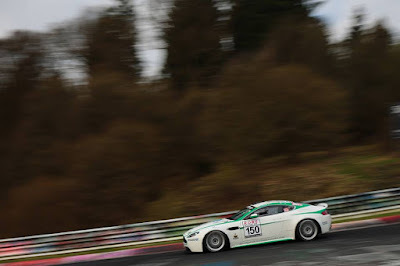 Again, with just three Aston Martin runners - two SP8 class cars from the Aston Martin Test Centre and the single full season SP10 (GT4) entry from Avia Racing a higher than last race and more competitive SP8 entry put pay to the efforts of both Test Centre cars whilst the Avia Racing car succumbed to technical difficulties and was retired just short of the three quarter race distance reversing the collective success of VLN1. 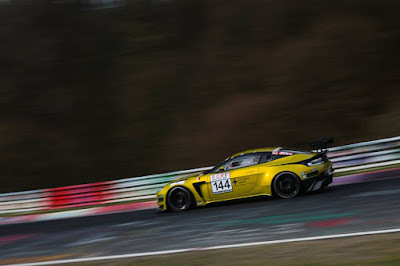 The #150 Vantage N24 of Peter Cate and Kim-Luis Schramm finished one lap ahead of its stable mate #144 Vantage S car of Heinz Jurgen Kroner, Tony Richard and David Thilenius but they were all three laps down to the eventual class winning Ferrari 458. 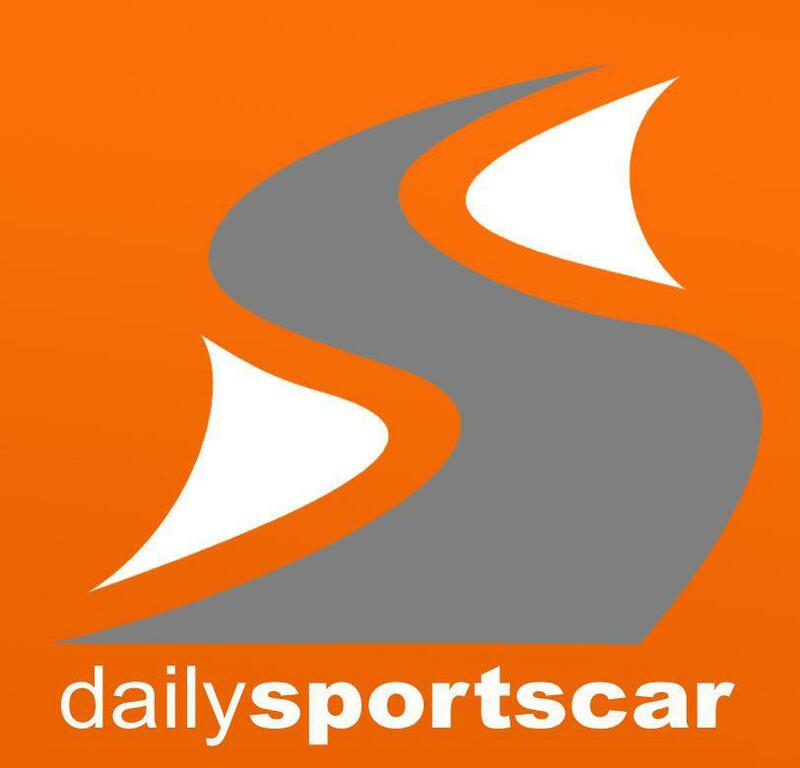 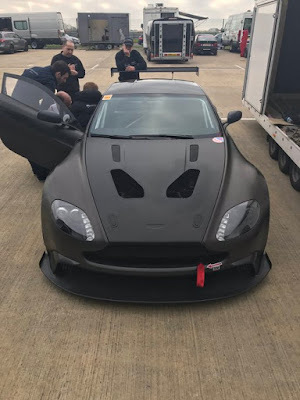 One thing to look forward to is that Darren Turner was also out testing, this time at Silverstone on Saturday in the Aston Martin GT8 all in preparation for the car to return to the Nordschleife in the very near future after its successful class exploits over at the Bathurst 12hour earlier this year. The VLN series now takes a long break before its next round towards the end of June in-between which is of course the N24!